So, you’ve made the decision to have a video produced for online marketing or a TV commercial for your business. Now what do you do? Here’s what to expect from the video production process. The first phase of the video production process is the planning stage. During this phase, all crew equipment and other production elements are organized, booked, and put into place for phases two and three. Depending on the complexity of the production, this phase can be very short or last a few weeks and be very detailed. During the planning phase, you should consider all aspects of your production. Who is your audience? How long is the video? Where will the finished product be shown? What message do you want to convey? How do you want viewers to feel after they’ve seen the video? This phase can often be overwhelming if you are unfamiliar with video production. Luckily, you don’t have to do it alone. Our team can help you decide on everything from lighting, camera angles, storylines, music, and more. The second phase of video production is what most people think of when they imagine video production: the camera rolls and any performances, presentations, and overlay shots are captured to video and sound. Most of what appears in the final product will come from what is recorded here. Depending on the type of production, this phase can last anywhere from a few hours to several days. The final phase of video production happens in the studio. All elements that have been created and recorded get put together and edited into the final product. Shots are organized and arranged to detail the storyline, special effects are added, and music is edited into the product. Often, the editing phase is the longest of the three phases. This is where we get down to the nitty gritty and really put emphasis into the details. Once we have put together the first draft of your video, we’ll send you a copy and welcome your feedback. We want to provide you with a finished product you are proud of, and we can help make your ideas come to life. 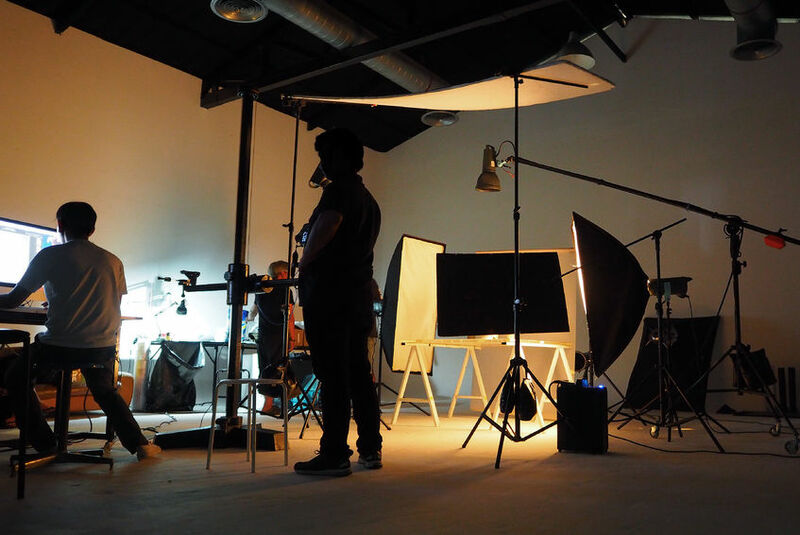 So whether you are ready to shoot a TV commercial, employee training videos, or online marketing series for your business, Promote Productions can help. Connect with us on Facebook, submit this online contact form, or give us a call today. We are eager to hear from you!